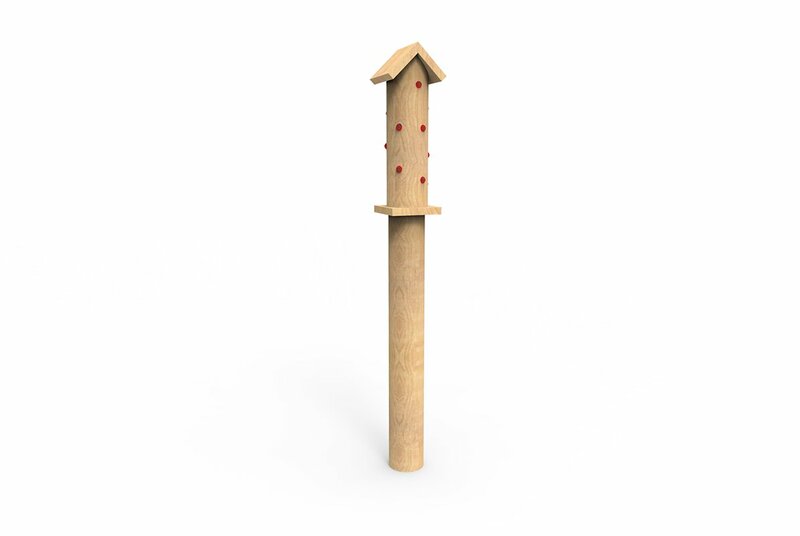 The Ladybird Tower provides a snug haven for ladybirds and lacewings, providing children with an area to attract and inspect ladybirds. This playground equipment encourages outdoor learning, scientific discovery and inspection. Perfect for including nature lessons in the outdoor play area. Alongside other products from our nature range, the children can learn about the world around them. Ladybirds are extremely beneficial insects for preserving a garden area, as they feed off aphids which eat plants and flowers. Made from solid oak and natural bark, this product has pleasing and natural aesthetics. It is perfect for a woodland play area where it will not look out of place beside trees and leaves. It is also suitable for creating a more natural looking outdoor play area.